Ok, so your holiday budget is blown, you still have gifts to buy, and the decorating isn’t done. No worries, we gotcha covered. These last minute holiday decorating projects come straight from the dollar store, so you can fish around for quarters in the couch cushions and head off to pick up your supplies! 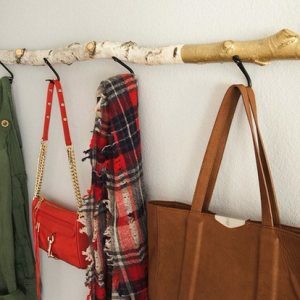 These bloggers show off some serious skills in the creativity department! 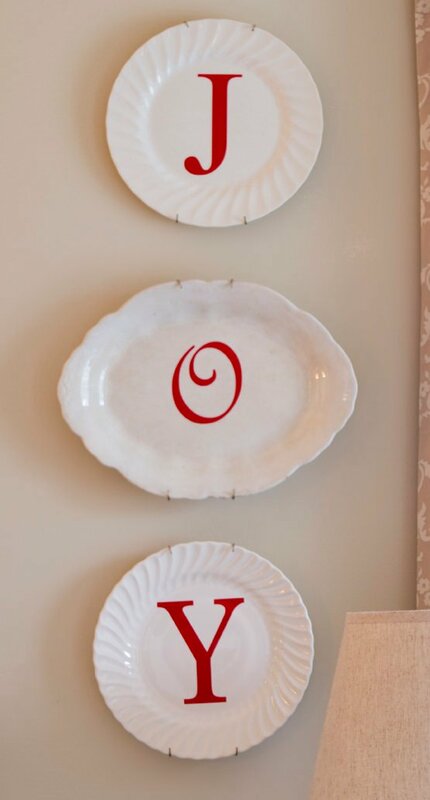 You all know how much we LOVE KariAnne at ‘Thistlewood Farm’, and this “Joy” plate idea is why… Dollar store, thrift store, whatever… Three interesting plates and some stick on letters… That’s OUR kind of last minute decorating! 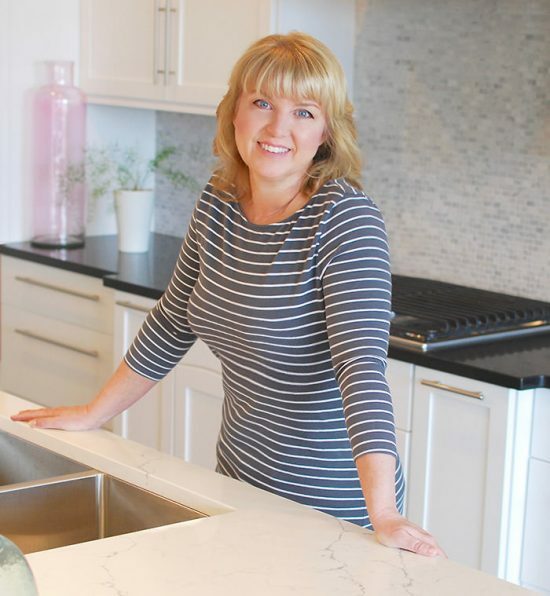 These DIY glitter vases from Carole at ‘My Kitchen Escapades’ are just what you need if your holiday decor is lacking a little glam… And her tutorial makes it easy to do, so a quick trip to the dollar store for vases! I would suggest doing them in rows of odd numbers. Candles, yes! 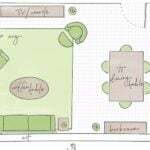 Do you know Virginia at ‘Fynes Designs’? Well, you should. If you did (all you gotta do is hop on over to meet her!) 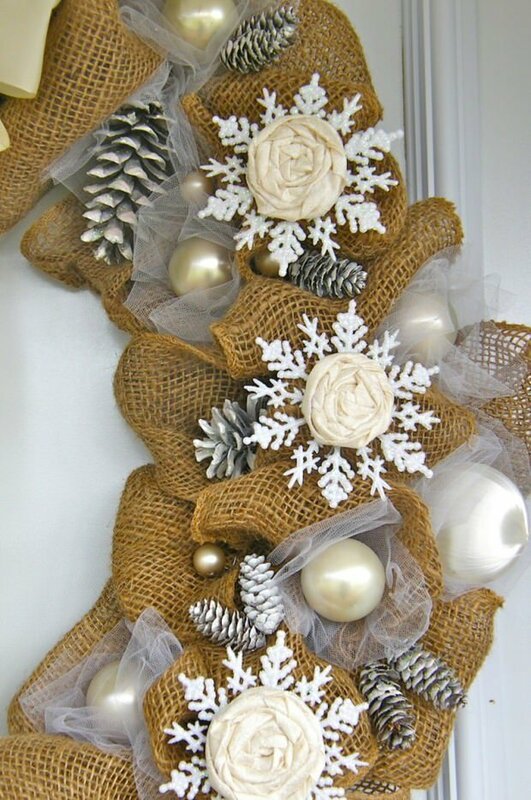 you would learn how to make this elegant burlap and snowflake wreath! You know, those snowflakes you get by the pack at the dollar store? I love that this wreath is traditional and yet not overdone. Pretty, and perfect for those neutral themes that are so popular. This little bit of holiday heaven is from Lucy at ‘Craftberry Bush’. 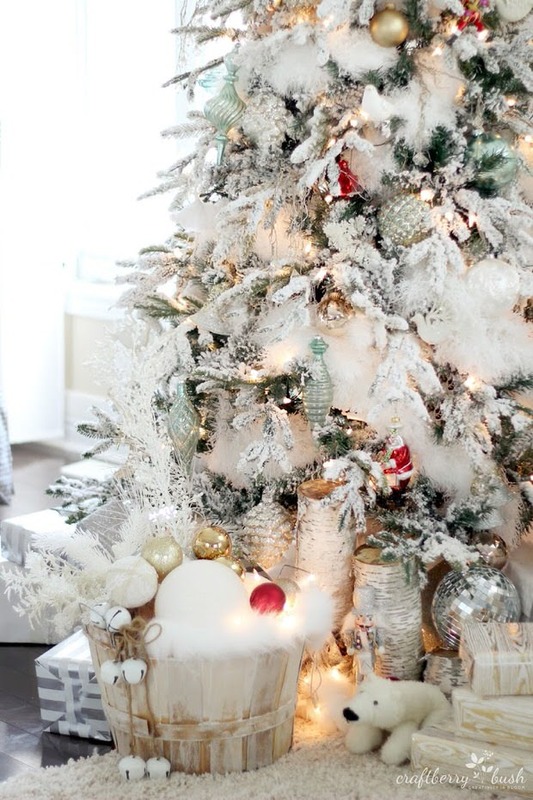 Have you ever seen such gorgeous Christmas trees? 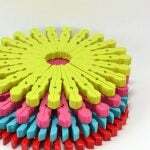 Ok, so to find out her dollar store secret to flocked trees, jump on over to her site. I also want to mention, ‘Craftberry Bush’ is one of our fav blogs…Can you see why? 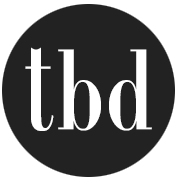 You will be amazed when you find out her secret! Ok, so those snowflakes must be a great value, ’cause we found quite a few projects that were A – Mazing! 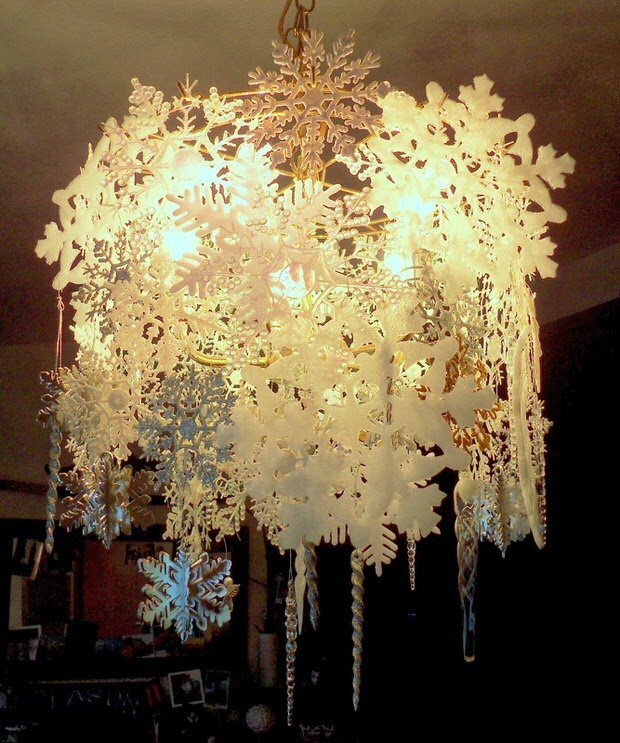 This wintry snowflake chandelier is one of those decor projects with lots of wow factor… Hop on over to ‘Make the Best of Things’ and find out how they did it… Plus, see the before! 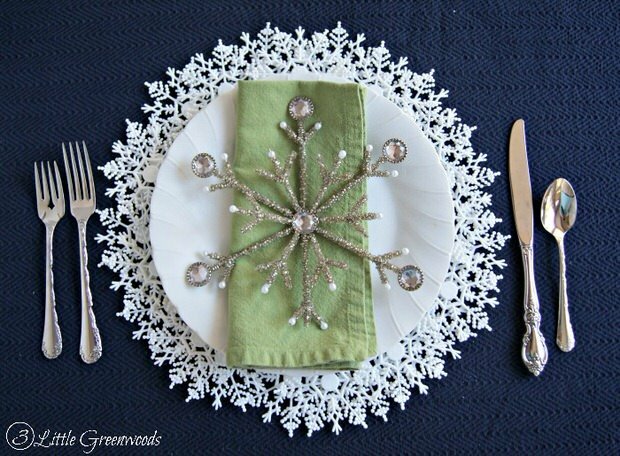 This DIY snowflake plate charger by Ashley at ‘3 Little Greenwoods’ will not only save you some cash, it will have every single one of your guests ooohhhing and aahhhhing…. Simple to follow tutorial! 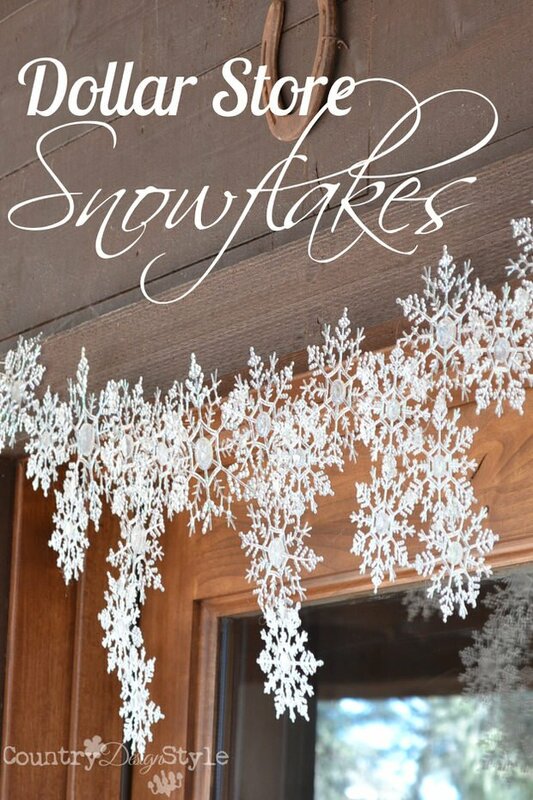 We don’t usually do so many of one type of project, but when something works… These DIY dollar store snowflake ideas from Jeanette at ‘Country Design Style’ use just a bit of hot glue (use a low temp gun!) and some creativity… oh yea, and a buck. 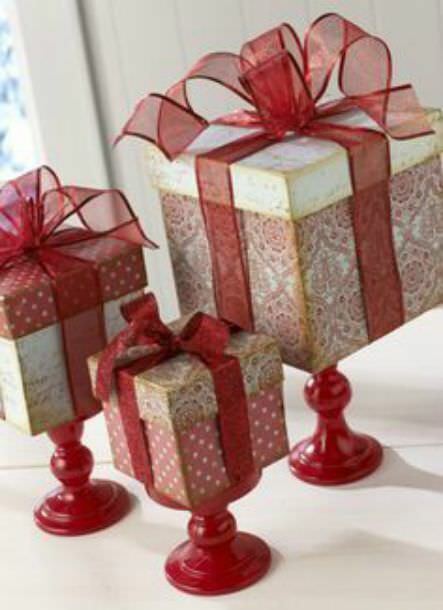 From ‘Plaid’, these dollar store gift boxes are glued onto spray painted dollar store candlesticks. Fun! Ok, now another great dollar store find… those little holiday trees! ‘Hot Wheels” idea is brilliant for a vintage look… Pick up vintage Hot Wheel type trucks, hot glue a tree in the back… Done! 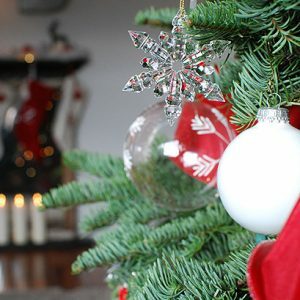 Cute vintage ornaments! 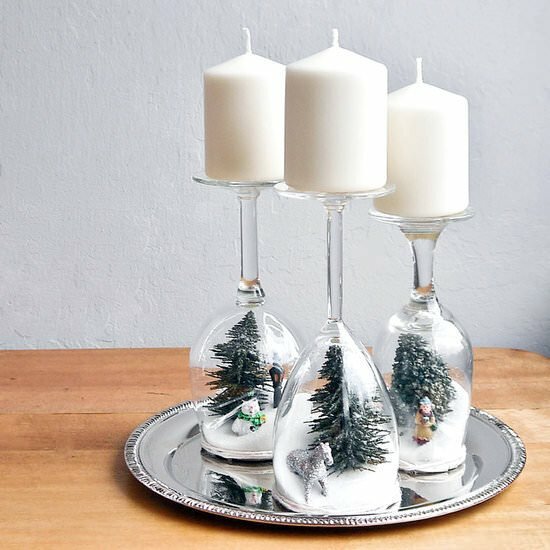 So sticking with the plastic wine glass theme, Sarah from ‘Popsuger’ has a tutorial for these dollar store holiday dioramas… I dare any of your guests not to say something about the clever factor here! 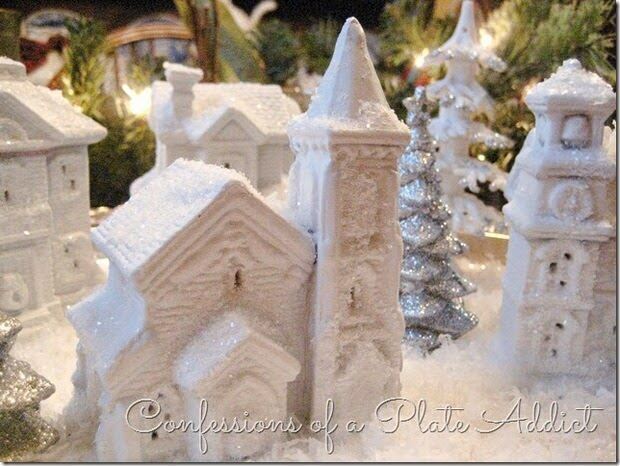 Ok, last we have a DIY dollar store snow village from Debbie at ‘Confessions of a Plate Addict’. 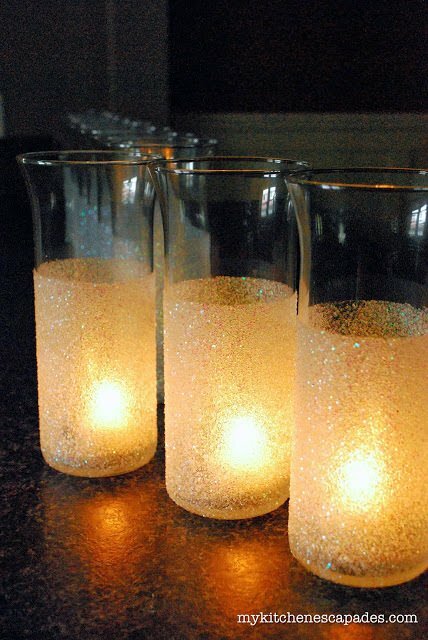 Dollar store Christmas houses, spray paint, glitter and glue is all it takes to make these look elegant and even high end! 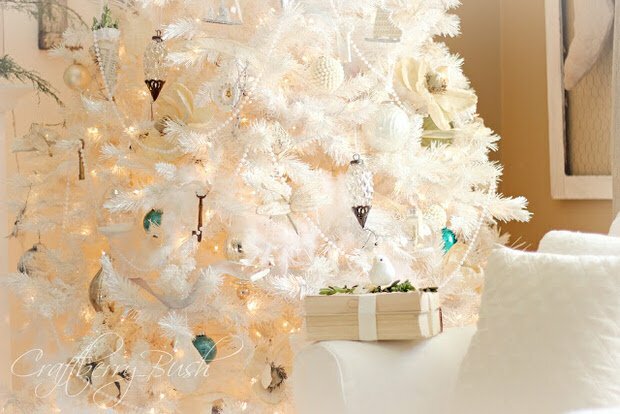 Did you love these last minute holiday dollar store decorating projects? 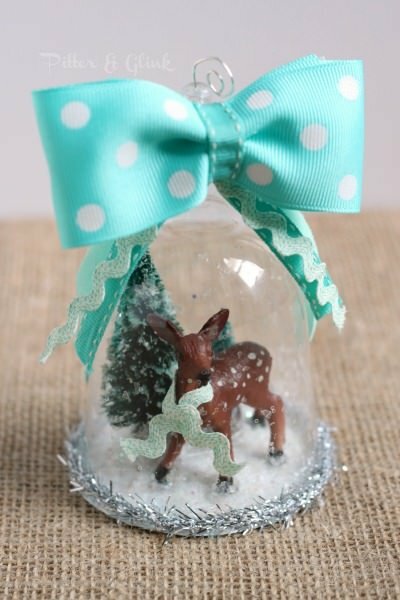 Then jump on over to Dollar Store DIY or Holiday Projects Using Dollar Store Ornaments.